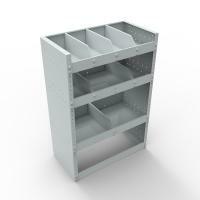 Size 690mm wide x 360mm deep x 1000mm high, complete with 3 adjustable shelves and 6 adjustable dividers. 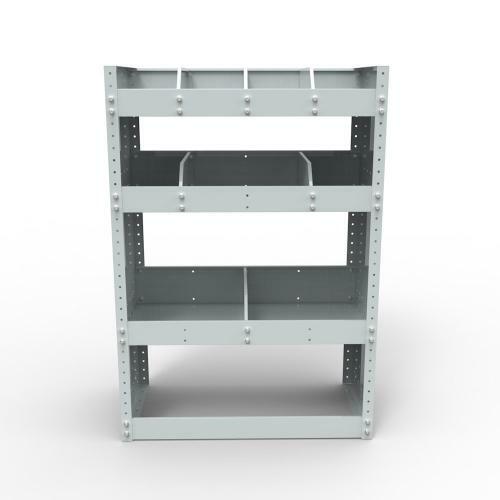 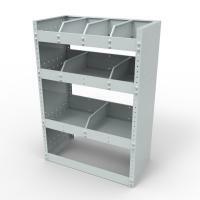 The shelves are adjustable up an down on 30mm centres, allowing the unit to be set with clearances to suit your requirements, bottom shelf can be positioned to give clearance over the van wheel boxes if required. 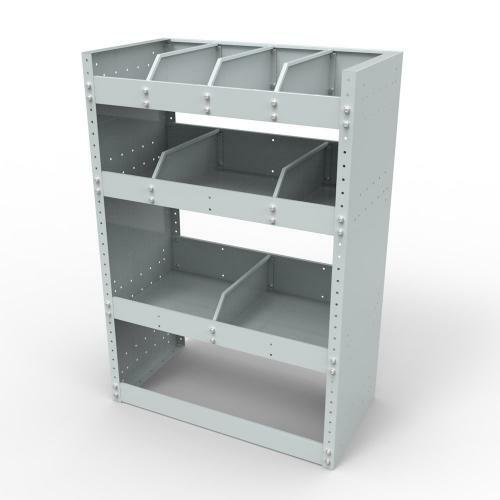 The dividers can be removed or repositioned as required. 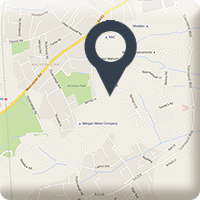 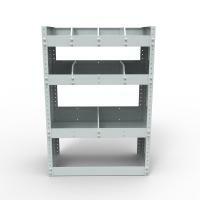 Supplied with bracketing to allow fitting of units into the van, or to join multiple units together.